A new application from Google called PhotoScan, which is part of a broader update for the Google Photos service, is making its way to Google Play. 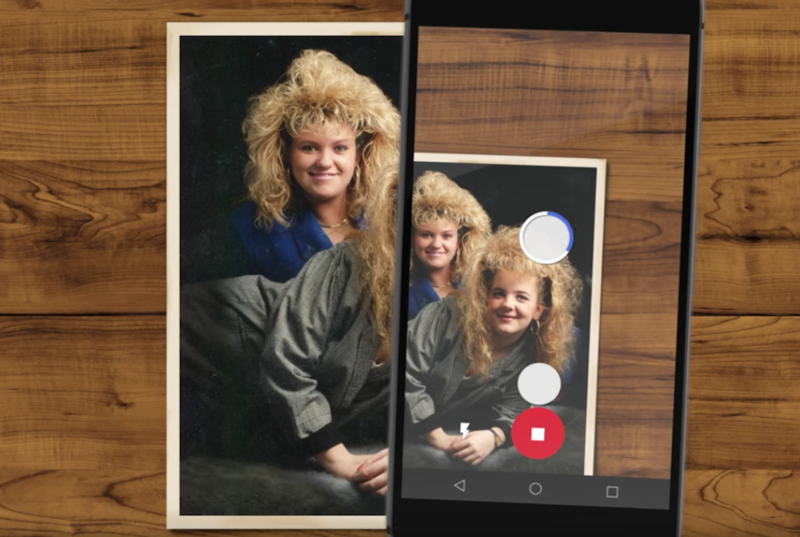 With PhotoScan, Google is attempting to persuade anyone with a compatible smartphone to upload all of their old photographs to the Google Photos service. The process of scanning an old photo and uploading is made extremely simple, as a login for PhotoScan is not even required. To get started, you simply open the PhotoScan app, hover over the points that are displayed on your old photo through the viewfinder, and that’s it. From there, Google’s software handles the rest, removing any possible glare, cropping, and leaving you with a high quality digital image for your safekeeping. Gone are the days of needing a bulky scanner to scan, crop, and upload your photos. As I mentioned, the launch of PhotoScan is part of a larger update for Google Photos. In this update, the Photos team is introducing new editing tools for those who enjoy doing that. For editing, there is a series of filters called “looks” that users can choose from for applying to photos. The experience is similar to what you find on Instagram. Editing goes a step further with access to light, color, and “pop” tools for any photo you have. To get started, follow the Google Play link below for PhotoScan, and also make sure your Google Photos app is up to date. Here’s a link to the iOS version, too. Google WiFi Pre-Orders Now Live!